As the primary law enforcement agency in Charles County, the Charles County Sheriff’s Office, one of the oldest law enforcement agencies in the United States, is a full-service operation. The CCSO provides all the services commonly associated with police departments and sheriffs’ offices and also operates the Charles County Detention Center. The CCSO has a hallowed obligation to maintain law and order and to protect life and property. Centuries of growth and innovation have transformed how the CCSO fulfills its mission but its rich history is an indelible element behind its modern achievements. When the CCSO was established in 1658, it was staffed by only one law enforcement officer, Sheriff Nicholas Gwyther, who served dually as sheriff in St. Mary’s County. Sheriff Gwyther’s responsibilities were collecting taxes, serving warrants, apprehending and executing criminals, and occasionally investigating witchcraft. He conducted business wherever he could, usually at his home. Nearly 100 sheriffs have served as Charles County’s chief law enforcement officer since Sheriff Gwyther and throughout the years these sheriffs have addressed the perpetually growing demand for law enforcement services, most of which are a result of commercial and residential growth. As the responsibilities of Charles County sheriffs grow, so too grows their contingent of personnel. Today, the CCSO employs more than 600 police, corrections, and civilian personnel. 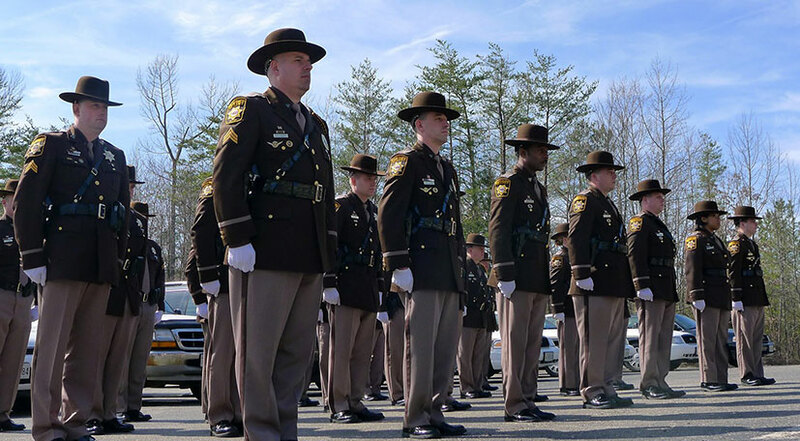 As the CCSO transformed from a one-man operation into one of its community’s largest employers, it expanded its physical presence in Charles County. In the 20th century, the Sheriff’s Headquarters moved from the County Courthouse to an abandoned military site and then to a renovated truck stop, which now serves as the La Plata District Station. The current Headquarters, which sits adjacent to the La Plata station, opened in 2000 and is the first building erected specifically as the CCSO’s flagship. Additional district stations are operated in Waldorf and Indian Head. A Community Services and Property Management annex opened in 2005 beside the Charles County Emergency Operations Center, a state-of-the-art facility for police communications officers and the county’s Emergency Services Department personnel. The first county jail was built next to the county’s original courthouse in Port Tobacco, the former county seat. The second jail was built in 1897 behind the current courthouse in La Plata and a third, which the CCSO still uses for Court Holding, was built beside it in 1926. A detention center behind the La Plata Station operated from 1981 to 1995 and reopened in 2007 as an annex of the current detention center. The CCSO earned accreditation from the Commission on the Accreditation of Law Enforcement Agencies (CALEA) in 2001 and was successfully audited in 2004, 2007, and 2010. The CCSO earned CALEA’s flagship status in 2011, designating it as one of the best among accredited agencies worldwide. The badge worn by Charles County Sheriff’s officers was designed in 1991 and carefully crafted to represent Charles County’s rich history. Star Shape: The star shape is traditionally recognized as the design for a sheriff. Seven Points of the Star: The seven points represent Maryland’s distinction as the seventh state to ratify the United States Constitution. Three Tobacco Leaves in Each Point: Tobacco was the chief economic mainstay in the early years of county; there are three leaves because Charles County was the third county formed in Southern Maryland. Maryland Coat of Arms: This signifies the Sheriff is a State Official; the center crest illustrates a portion of the Official Seal of Charles County. Rope Around the Shield: The rope symbolizes Charles County’s historical dependency on surrounding waterways. Sheriff’s Police: This phrase signifies the responsibility of the CCSO as the chief law enforcement agency in the County. Black-on-Gold Coloring: These colors represent the official colors of the Third Lord Baltimore, Charles Calvert, in whose honor Charles County was named and established on May 10, 1658. The official flag of the Charles County Sheriff’s Office was unveiled May 15, 1998 and represents all sworn, corrections and civilian personnel. The thin blue line on the flag, a symbol recognized by law enforcement worldwide, denotes the final barrier which stands between our citizens and chaos. The only time this line is disrupted is when an officer has fallen or is injured in the course of executing his duty. The center star is an adaptation of the existing Sheriff’s Police badge. The phrase “Sheriff’s Police” has been replaced with “Sheriff’s Office” to represent all personnel but the meaning behind the other symbols — the star’s seven points, clusters of tobacco leaves, rope and Coat of Arms — remains the same. The flag’s royal blue field was chosen because it is the traditional color that represents law enforcement. It is also a color commonly shared by the Charles County flag, the Maryland State Seal and the United States flag. The scroll beneath the star depicts the year the Charles County Sheriff’s Office was founded, again echoing the colors of our badge and those of the Third Lord Baltimore, Charles Calvert. The flag may not be reproduced without direct authority of the Charles County Sheriff and is protected by all applicable copyright laws. The Commission on the Accreditation of Law Enforcement Agencies (CALEA) was established as a credentialing authority in 1979 through the collaborative efforts of the International Association of Chiefs of Police, National Organization of Black Law Enforcement Executives, National Sheriffs’ Association and Police Executive Research Forum. It is the premier law enforcement credentialing authority worldwide. The CALEA accreditation process is a proven modern management model that improves the delivery of public safety services through its body of professional standards. Earning and maintaining CALEA accreditation is a voluntary process that offers many benefits. CALEA helps agencies reach organizational goals by requiring a set of well-thought written directives and a well-developed system of internal reporting used to provide the sheriff, chief or other executive with fact-based information upon which to make management decisions. CALEA also requires a preparedness program for a wide range of emergencies. Lastly, by requiring compliance with internationally recognized standards, CALEA also offers a basis for liability reduction: our insurance carrier offers us a premium discount because we are CALEA-accredited. CALEA encourages law enforcement agencies to meet the highest levels of professionalism and excellence in service, which is perhaps its greatest benefit. It also strengthens public confidence when our community knows it is protected by an agency that is part of an elite group of law enforcement professionals. Learn more about CALEA by visiting its website, http://www.calea.org/.